Notes: The Jam simply exploded with this one. Everything just seemed right about it. There was thoughtful lyricism, tight instrumentals and that 80's punk/power pop charisma all working in concert. Working class ethos from the lads of Woking presented for the young man on the street (see the inside sleeve for a bit of mod fashion sense). 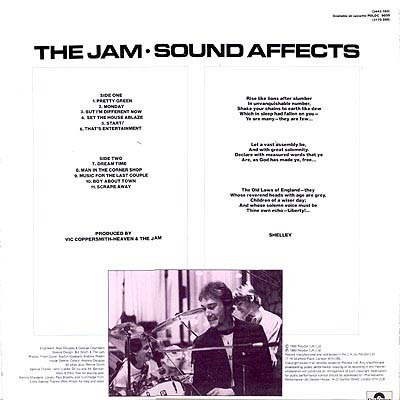 Always able to make that Rickenbacker sound work in his favor Weller's writing was maturing rapidly at this point. 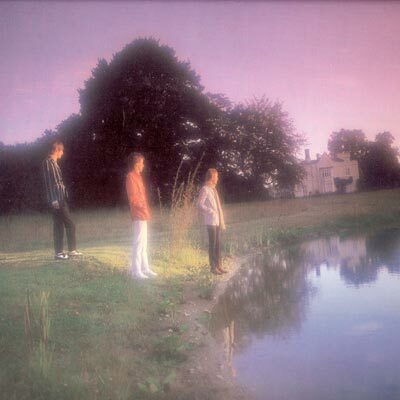 "That's Entertainment", covered by the like of Morrissey no less, casual observations from a window at night is turned into a story we've seen or been a part of at one time or another. 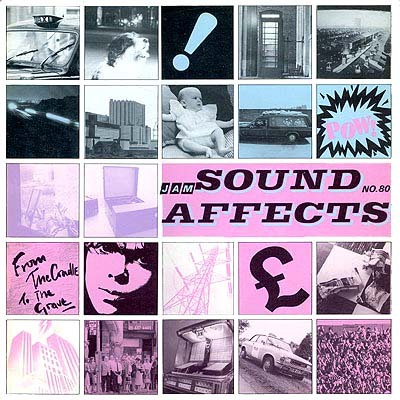 The cover is a take off of a series of sound effect records produced by the BBC. Click here for an example. All in all a classic record that still plays well today.